Coupled with a lifelong love for traveling and a B.A. in geography, Dana Grohman has traveled extensively across the Lower 48 for twenty-five years with her husband and son. 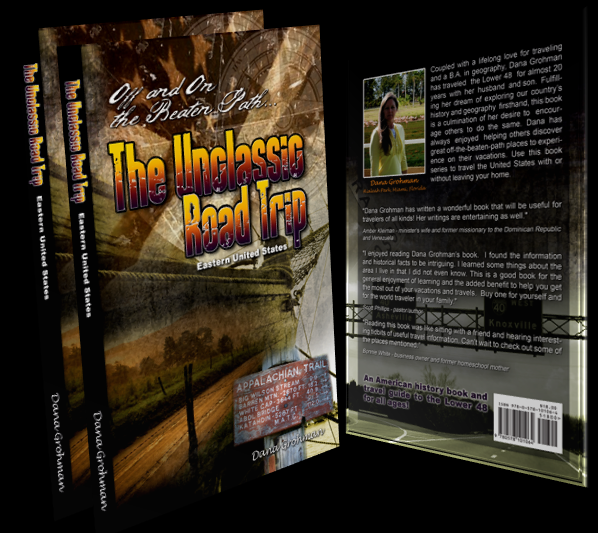 Fulfilling her dream of exploring our country's history and geography firsthand, this book series is a culmination of her desire to encourage others to do the same. Dana enjoys helping others discover great off-the-beaten-path places to experience on their vacations. 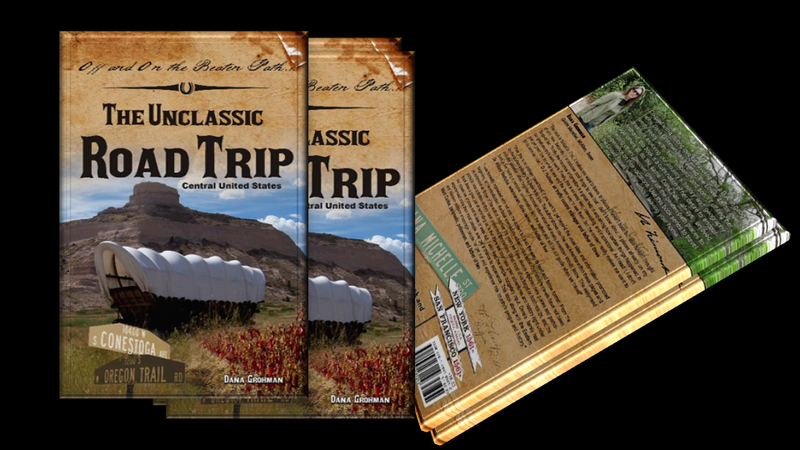 Use this book series to travel the United States with or without leaving your home. $18 each plus shipping/handling ($3 per book-media mail.). Order now. Indicate Eastern or Central Edition in description on form. "Hardworking Americans make and have made this country great, from the couple who owns the campground near a state park to the ranger at a national park and from the American Revolutionary to the Oregon trailblazer. The sites presented in these books, all in some significant way, have contributed and most continue to contribute to the history of this country. These are books primarily about off-the-beaten-path places. I desire to give attractive ideas to those who travel both frequently and infrequently. I hope to encourage the armchair traveler to make the move, get out of those four walls, and see this astounding country! Our family has reaped immeasurable rewards from taking the time to investigate the unbeaten path. Included in these books are many great places with which people do not seem to be all that familiar. Many of the best places are low-profile sites. During our travels, we have talked to thousands of people over the years. Many wish they could travel, but most proceed to list excuse after excuse as to why they have not gone anywhere yet. Young people often plan to "see the world" after they graduate. To our glee, we have met college-age people who have taken a significant time off to do just that, but most never do. We have met older people who plan to buy a motorhome and tour the country when they retire. Some even go so far as to buy the coach. However, time moves on, their health fails, and that dream trip remains only a dream. The best time for anyone to take a trip is now. If you have a family, that is even more reason to go. What an education your children will acquire from seeing, in person, a place that until that time was only somewhere they had heard of from someone else! Traveling is a tremendous investment in your life. Realize some places may simply have a special meaning to only you. Memories are invaluable gifts that never can be purchased. I am blessed to have been traveling the Lower 48 for almost one-half of a century." 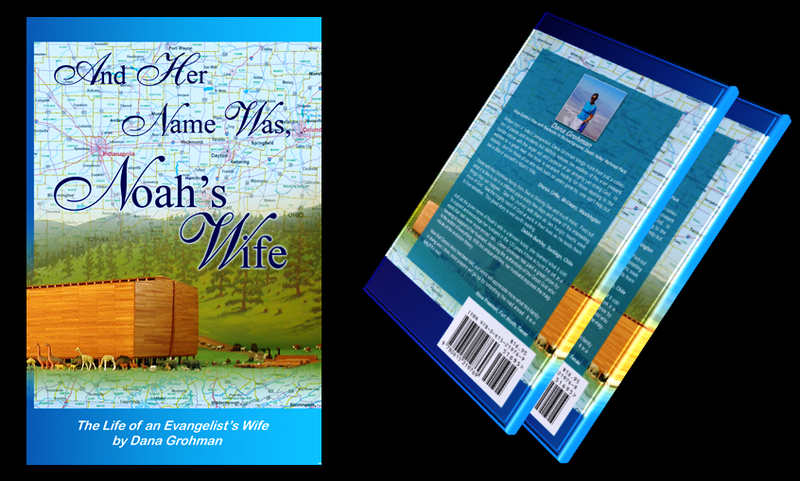 This third book presents the Western Edition of the U.S.
Noah had a wife? I supposed someone had to care for the children and put dinner on the table for Noah after a long day of ark building and preaching! Nonetheless, before this book, she never really crossed my mind. What was her name? Doesn’t it seem a bit unfair that as famous as he turned out to be, Noah’s wife wasn’t even mentioned by name? It’s interesting to me that Dana Grohman chose to use such an obscure character in the Bible as a parallel to modern day minister’s wives. What a contrast to the modern day “his and hers” pastoral titles that are so freely pronounced. “Sister Noah” simply stood in the shadow of her husband, following his lead, supporting his dreams and working beside him to fulfill their calling. Yes, I submit to you, that although God spoke directly to Noah, she, being joined to him by marriage became accountable to the call as well. (Genesis 2:24 “...and they will become one flesh”). Many times there can be a misconception that being a minister’s wife is paramount to celebrity. This might be the case for a few televangelists or for those who seek public acclaim; however, it is not prototypical. Perhaps the idealization of the role of the minister’s wife as “the Perfect Job” in the minds of others is fostered by a lack of insight and personal experience. While the job does have its perks, it’s certainly not for the weak or for the prima donna. Dana is onto something here. If we look closely, we can glean many valuable lessons in humility and servitude simply by studying this matriarch figure. Be fully aware that even though your name may never be recorded in the annals of history and you might not receive the “Minister’s Wife of the Year” award, you are one powerful woman. You have the power to make or break your husband’s ministry. Keeping your perspective is the key. The truth is, it is an honor to be chosen to be the helpmate of a man of God. The King of Glory, our Creator and our Redeemer, has confidence in YOU to help bring His calling and purpose into fruition. It seems that, outside of the Bible, there is no instruction manual on how to survive life in the ministry. However, the experiences of many powerful women of God have shown that it is ideal that you become equipped with the following: a childlike faith, the power of the Holy Ghost, a willingness to learn, lots of patience, nerves of steel, and a good sense of humor! Dana Grohman has opened up a window into the adventure that is their life on the road. As you peer through this window, you will be relaxed by her unassuming, candid style and you will be refreshed by her determined outlook and pure love for God and this Apostolic Truth. Dana’s slapstick humor and revealing reflections of their experiences while pursuing their passion are inspirational and comical! Although she takes special care not to mention names, beware! You just might see yourself in this book somewhere between the lines! Before reading further, I adjure you to set aside your preconceived ideas about what the life of a ministers’ wife is like on the road in full time ministry. Get a cup of coffee, relax and take a glimpse inside the not so glamorous life that accompanies ministry at its finest. Some stories you will find quite unbelievable and entirely hilarious, however, I would venture to say that most of the episodes recounted in this book would never happen again to any one individual! At least one can hope not! Dana’s life is a beautiful testimony of faith, love and devotion. Her love and devotion to her husband, Steve, and her son, Paul, are evident in every way. If you know them at all, you have discovered that the Grohman’s are not a one man show. They are a team and God is their captain. I count it as a high honor to have contributed to this book. My husband Rob and I, along with our church, The Pentecostals of Katy, believe strongly in the ministry of educating modern day believers and non-believers alike about what Bro. Grohman calls “The Issue”! Our God created the heaven and the earth! One final note to every fellow minister’s wife, and those still wrestling with the call: God takes care of His own. As Dana beautifully illustrates, we must surrender ourselves completely to the calling with no hope of our own glory. It is only then that we will attain true fulfillment and the glory that really matters. Remember, the very same God that spins things into orbit has called YOU. He knows the stars by name, He knows your name and, yes, He even knows Noah’s wife by name. It is recorded where it really matters. I challenge you to let this thought keep you humbled and motivated. Let this be enough.